A lot of people have fantasized about suddenly striking it rich. They imagine that a financial windfall – inheriting a fortune from a distant relative, collecting royalties for a best-selling novel, or even winning the lottery – would make all their dreams come true. They picture themselves traveling the world, lounging on beaches, sipping champagne under blue skies while palm trees wave in the breeze. But when this dream of sudden wealth actually comes true, it often turns into a nightmare. Instead of feeling happy and carefree, people who get rich quickly tend to become stressed and anxious. Their relationships often suffer too, as the money creates distance between them and the people they were once close to. Now, maybe you think that if you came into a fortune, you’d be able to avoid these problems – or at least that you’d love the chance to try. But sudden wealth syndrome can happen to anyone, and it’s important to be aware of the problem. That way, if you ever find yourself with a windfall, you’ll know what symptoms to watch out for and how to head them off. Sudden wealth syndrome can damage your life in several different ways. It can lure you into reckless investments or overspending, which can leave you worse off financially than you were before the windfall. It can also cause mental and emotional stress as you struggle to adjust to your new lifestyle. And finally, it can put a strain on your relationships with others – both old and new. Ironically, gaining too much wealth too quickly can hurt your finances in the long run. People who acquire large sums of money all at once, rather than building it up over time, often lack the skills needed to manage it wisely. They don’t have a good sense of what things really cost or how much they should expect to pay in taxes. They simply assume they can spend as much as they want – and by the time they realize they’re wrong, they’ve often run through most or even all of their new fortune. Lottery Winnings. A famous 2010 study in the Review of Economics and Statistics looked at nearly 35,000 people who won between $50,000 and $150,000 in the Florida lottery. It found that within five years after their wins, more than 1,900 had filed for bankruptcy. 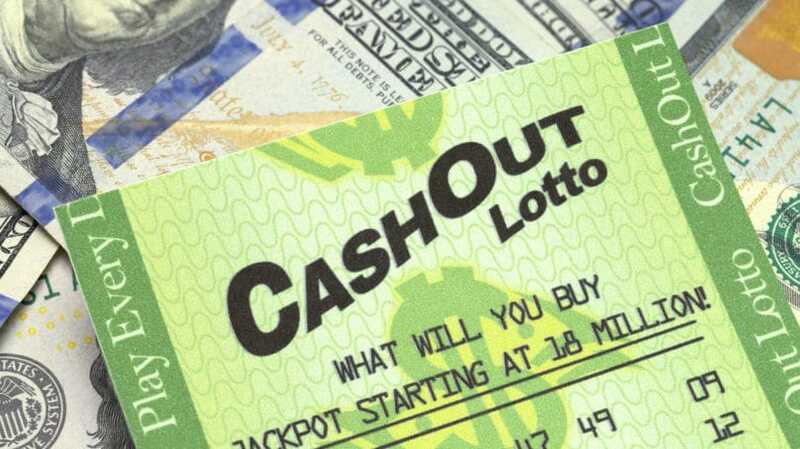 This made the bankruptcy rate for lottery winners in Florida nearly twice as high as regular Florida residents. Inherited Wealth. A 2012 study in the Journal of Family and Economic Issues found that people who inherit large sums in their twenties, thirties, and forties only save about half the money. They either spend the rest or lose it through poor investments. Short-Term Income. Even people who earn their riches don’t always know how to put them to good use. A 2015 paper in the American Economic Review looked at NFL players drafted in the late 1990s and early 2000s, who earned more in a six-year career than most people do in a lifetime. It found that 15% of them had filed for bankruptcy within 12 years after retirement. Depending on how you measure, that rate is either close to or much higher than the typical bankruptcy rate for men their age – most of whom earn much less. Shock. The newly rich have trouble believing the money is really theirs. Sometimes, they’re afraid to tell anyone about their good fortune because they don’t quite believe it. Guilt. They feel like they don’t truly deserve the money. Often, they notice that others envy their good fortune, and this makes them feel upset and lonely. Uncertainty. Instead of feeling empowered by their new wealth, they feel paralyzed. They have trouble making even the smallest decisions about what to do with the money. Anxiety. They fear their newfound wealth will somehow vanish just as suddenly as it appeared. They often develop what therapist Stephen Goldbart calls “ticker shock” – watching the stock market obsessively to make sure their new fortune isn’t losing value. Goldbart, who often works with the wealthy, says in an interview with WebMD that the newly rich often face an “identity crisis” – especially if they’re still fairly young. Because they no longer need to work for a living, they feel cut off from their peers in the workforce. They aren’t sure how to see themselves as “retired” when their working lives have hardly begun. 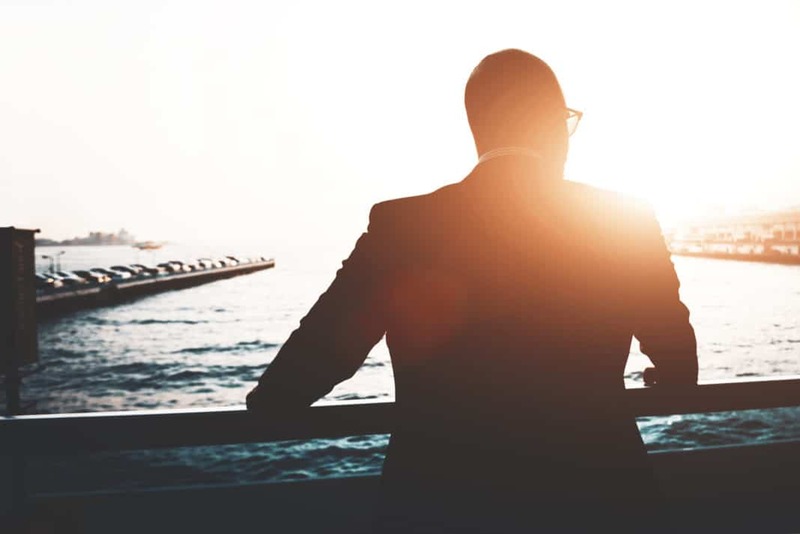 By contrast, people who strike it rich in their fifties and sixties often handle it better, partly because it’s seen as normal for people to accumulate wealth as they age. Just as the newly wealthy begin to feel uncertain about themselves, others in their lives often act differently towards them. Close friends and family members often resent their good fortune and treat them with rudeness or disdain, and the newly wealthy feel lonely and isolated as their old friends pull away. Meanwhile, other people in their lives start acting more friendly and affectionate than before. 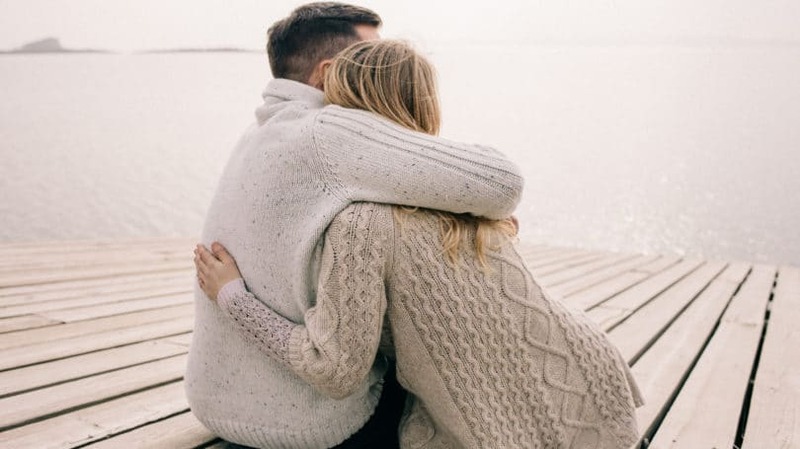 Instead of easing the loneliness, this show of affection often makes it worse, because they suspect these people are interested in the money and not in them. They imagine these people are hoping their newly wealthy friend will choose to lend money to family and friends, handing it out to anyone who asks. The newly wealthy tend to pull away from these “friends” as well and feel even more isolated as a result. In many cases, their own behavior is part of the problem, as well. Their new wealth gives them the freedom to enjoy travel and other luxuries that some friends can’t. If they decide to take off for a week in the Bahamas, most people they know won’t be able to drop everything and tag along – even if their wealthy friend is picking up the tab. Sometimes, the newly rich try to fill the hole in their lives by forming new friendships with people who share their lifestyle. But even with other wealthy people, it can be difficult to tell if these friendships are genuine or opportunistic. The above makes it sound like striking it rich could be the worst thing to happen to someone, rather than the best. But it doesn’t have to be. When you are aware of the signs and symptoms of sudden wealth syndrome, you can take steps to protect yourself. You can also learn how to handle your new wealth so it adds to your life, rather than detracts from it. Keep It Quiet. Financial planner Robert Pagliarini, writing for Forbes, says that when it comes to sudden wealth, “the fewer people who know the better.” By keeping your good fortune a secret, you can avoid the pressure from swarms of people – friends, businesses, and charities – seeking a piece of it. You can also avoid being bombarded with financial advice, which, even if it’s well-intentioned, isn’t necessarily welcome. Avoid Hasty Decisions. Don’t rush into any decisions about how you’ll spend or invest your new wealth. Avoid making any promises – financial or otherwise – until you know exactly how much you have and how much you can afford to spend. Financial expert Susan Bradley, author of “Sudden Money: Managing a Financial Windfall,” recommends spending your first few weeks, or even months, as a wealthy person in a “decision-free zone.” This gives you time to process your feelings about your situation before you to decide to act. Figure Out What You Have. Before you can start putting your money to use, you need to work out how much you really have. This isn’t always obvious at the outset. For instance, as this CNN article explains, a New York City resident who wins a $1.5 billion lottery jackpot and chooses to take the money as a lump sum will actually end up with only $577 million after taxes. Similarly, if you’ve inherited money, you’ll need to read the exact terms of the will and find out what form the money comes in and what limits there are on how you can use it. So, before you spend a dime, go through all the legal papers tied to your cash windfall, fine print and all. Highlight any terms you don’t understand and look them up, taking care to use only reliable sources. Set Goals. Once you know how much money you have, start figuring out what you want to do with it. Think about both short-term and long-term goals. You can break these down into four areas: lifestyle, family, future, and charitable donations. This exercise will help you figure out how to spend your windfall wisely. Hire an Advisor. Once you know what your specific goals are, you can work out how much money you need to put towards each one. This is where a professional advisor can be a big help. A qualified financial advisor can help you figure out how much you can afford to spend each year so your money will last. They can also steer you towards sensible investments to make the most of your money. To find a financial advisor, start by asking for referrals from friends, family, and professionals you trust, such as a family accountant. Then take the time to vet all the candidates, looking into their background, philosophy, references, and fees. Don’t rush this step; having a financial advisor you can trust is well worth the wait. Keep Your Guard Up. A financial advisor can also help you in another way: by protecting you from requests for handouts. Refusing to lend money to friends and family can be awkward, but it’s easier when you can say, “I can’t make any loans without checking with my advisor.” Your advisor can also handle other types of money-seekers, from charities looking for aid to people trying to squeeze money out of you via threats or frivolous lawsuits. You can tell all these people to send their requests to your advisor, which will help shield you from constant pressure. Control Your Access to the Cash. There’s one more person you need to protect your wealth from: yourself. If you know you won’t be able to resist blowing through your money, then it’s best to stash it away where you can’t get at it easily. For instance, you could use some of the money to buy a house with cash, put some into college savings funds for your kids, and sequester some in retirement funds. Get Used to Your New Wealth. Finally, take some time to adjust to your new position. Don’t start thinking of yourself as a rich person and spending willy-nilly, or you probably won’t stay rich for long. Instead, get used to the new income level you’ve worked out with your financial advisor and do some experimenting to see how much it can buy. If you’re really itching to spend some of the money, experts suggest allowing yourself one clearly defined splurge, such as a vacation or a new car. Enjoy that one luxury and get it out of your system, then settle down and live sensibly on your new income. Taking it slow with your newfound wealth can help you financially, as well as emotionally. It lets you process your feelings about your new situation, instead of trying to adjust to a new identity overnight. The time you spend in the “decision-free zone” will ease you through the shock of suddenly being wealthy. It will allow you to get over your uncertainty and figure out how to invest your money in ways that fit in with your goals and values. This, in turn, will help relieve you of the anxiety about possibly losing your wealth and convince you that you really do deserve to have it. However, many people need a little more help getting over the emotional stress of going from rags to riches overnight. Bradley says most people dealing with sudden wealth syndrome should consult a therapist. It’s much easier to get through this transition with the help of a professional than to do it all on your own. After all, you can certainly afford it. Protecting your new wealth is paramount, but protecting your relationships with others is important too. Experts say one of the biggest mistakes newly wealthy people make is to retreat from the people who were once close to them. Often, they do this because they’ve become insecure and suspicious, fearing that everyone around them is only after their money. Whatever the reason, this behavior only leads to loneliness. To avoid this problem, experts advise that you make the effort to stay close with your friends. Continue to take part in the same activities you’ve always enjoyed with them, whether that’s a weekly yoga class or a poker night. Holding on to established friendships will help you stay grounded, and having an active social life will cut down on your stress level. It’s also important to avoid pushing friends away by accident. When you’re suddenly wealthy, it’s easy to get carried away with spending behaviors that your friends can’t easily keep up with. If you suggest replacing that casual poker game with a trip to Monte Carlo, you’ll probably end up leaving your friends behind. So, make a point of remembering their financial limits when you get together. Finally, remember that while you don’t have to give money to everyone who asks for it, it’s a nice gesture to share the wealth in ways of your choosing. For instance, flight-attendant-turned-entrepreneur Sandy Stein shares in a BBC interview about how she took one of her best friends from her airline days on a polar bear expedition. Gestures like this – treating your friends to a trip or a social outing – are a way to show your true friends that you still care about them. One of the biggest problems for people with sudden wealth syndrome is that they don’t get much sympathy from others. To a person who’s still struggling along on minimum wage, it’s hard to imagine that a neighbor who just won the lottery could actually be having a difficult time dealing with the change. Many newly rich people don’t dare talk to their friends and family about the problem, because they think it makes them seem obnoxious. If you’ve just come into money, one of the most important things you can do for yourself is to acknowledge that it is stressful, and it’s okay to need help to process it. When you understand that gaining money is a real source of financial stress, it becomes easier to deal with it like you would any other kind of stress. Talk with friends, get some exercise, and, if necessary, see a therapist – and don’t feel embarrassed about doing so. Being stressed out about a financial gain is no more shameful than being stressed out about a financial hardship. Do you know anyone who’s suffered from stress due to sudden wealth?